How to avoid a plumbing disaster. There’s nothing more horrifying than going over to a friend or relative’s house and unintentionally creating a plumbing disaster. Whether you clog a toilet or a garbage disposal, it’s embarrassing all the same, and can make you just want to hide in a corner. So what do you when you've flushed — but the toilet's not? Or when you just wanted to help clear the table but accidentally put something bad down the drain? To bail you out of these awkward situations, we consulted the experts at Mr. Rooter Plumbing for some professional plumbing tips. Their insight might just help you prevent a plumbing catastrophe before it begins! To get tips and tricks that will make cleaning and more a breeze, sign up for our Everyday Solutions newsletter here. Ever notice that plumbing issues like clogged toilets or backed up garbage disposals always seem to happen around the holidays or Super Bowl? That's because your bathrooms and kitchens are working extra hard to keep up with all the company you invited over. “The day after Thanksgiving — deemed by plumbers as "Brown Friday" — is the busiest day of the year. Extra food and guests in the home often means extra use of plumbing systems, which translates into a heightened number of service calls for technicians to deal with the ugly aftermath of Thanksgiving feasts," said Doyle James, president of Mr. Rooter Plumbing, a Neighborly Company. "And most homeowners aren’t aware of plumbing problems until the extensive usage of sinks, toilets and garbage disposals overwhelms the system, potentially costing thousands of dollars to fix." Toilet paper that isn't degradable. If you do happen to clog someone else's toilet, just stay calm. "The first thing to remember when you clog the toilet in another person's house is to breathe and don't panic," said Mr. Rooter franchisee Jamie Smith of Baltimore. If for some reason you cannot shut off the water valve, don't keep flushing the toilet because chances are that it will overflow and you'll be worse off than you were before. Next, look around the bathroom for a plunger. Unless you know what you're doing, once you find it, don't just start plunging. Take your time and use the plunger correctly. Otherwise, it can't do its job. Once the connection's established, begin plunging up and down with a good amount of force. 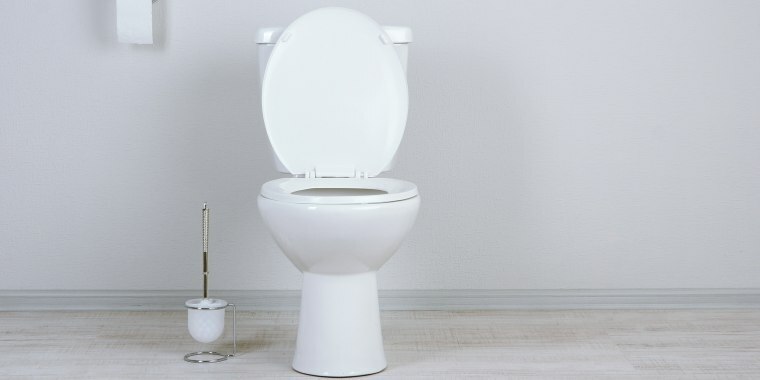 Take care not to lift the plunger away from the bottom of the toilet bowl or you'll break the connection. Be quick and repetitive with the plunging motion. This will establish a suction force that will push through whatever is blocking the drain pipe. Keep an eye out for movement in the toilet which means the blockage is being pushed through. Once you're sure the water is draining, turn the water valve on, allow the tank to fill, then flush the toilet. Swish the plunger in the fresh water for a quick cleaning before leaving. Flush again. If all your efforts fail, or if there is no plunger in the bathroom, swallow your pride and discreetly tell the host about your dilemma. Ask for a plunger and volunteer to do the labor — after all, now you know how to do it like a pro. Fibrous foods (think celery, potato peels, carrots, corn husks, onion skins, asparagus and artichokes) can wrap around disposal blades and damage the motor. Grease and oil start off as liquid when hot but quickly turn into a gelatinous mess that can clog disposals. Starchy foods like pasta, rice, beans or potatoes can turn pasty and quickly create a big mess in a disposal. Egg shells can wrap around the shredder ring and potentially damage the disposal or cause pipes to clog. Cleaning chemicals like lye or drain opener aren't safe for a kitchen sink. Hard materials like turkey bones and fruit pits are just too hard for disposal blades to tackle. Non-food items have no place in a disposal! So think twice before you throw down a twist tie, rubber band, bottle cap or the like. A bent wire hanger: Straighten out a regular wire coat hanger as much as possible, then bend one end to create a hook. Push it through the drain and start fishing. Hair and all other buildup should come out. Finally, run hot water to really clear things up. Baking soda and vinegar: Create a mixture of 1/3 cup baking soda and 1/3 cup vinegar. After it starts to fizz, pour the mixture down the drain right away to help break down all the gunk. Let things sit for about an hour (or overnight is even better!) then flush it out with hot water. Boiling water: Boil a bunch of water in a tea kettle then slowly pour it down the drain in two or three stages, letting the hot water work its magic for several seconds between each pour. Of course, make sure your sink is empty first. Just remember that going the DIY route won't always work. "While these DIY hacks should help you deal with most blockages, the tips are meant to assist in clearing slow drains where backups have not been common. If the problem persists, call a plumber for professional assistance to asses the situation," James said. This story was originally published on Dec. 16, 2015 on TODAY.